Mulching is an important factor for plant beds to maintain a healthy and aesthetically pleasing landscape. A layer of mulch around plants helps retain moisture, which allows the plant stock to be healthier. A layer of mulch around plants reduces the weed growth and adds nutrients to the soil due to its natural decay. When mulching trees, mulch surrounding the trunk should look like a donut – a uniform circle. Keep the mulch to a thickness of 1-2″ around the base of trees, shrubs and perennials to prevent decay of the bark layer causing poor growth. Overall, keep mulch at a maximum thickness of 4″– any more will restrict the access of oxygen to the soil and plant roots. Avoid excessive build up of mulch around base of trees and shrubs. Do not use mulch over landscape fabric in the hope of improving the soil. When the mulch decompose it cannot enter the soil if there is a fabric barrier between it and the soil. Mulch will also break down creating allowing weeds to germinate above landscape fabric. Hope the above information will help assist in a healthy and attractive landscape for you. 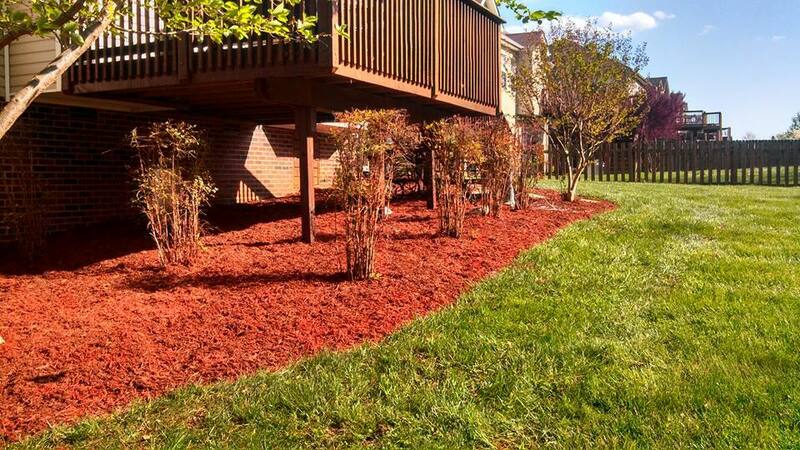 If interested in any residential or commerical mulching services, please contact us at Middle Tennessee Grounds for any of your mulching needs.